Place potatoes in medium saucepan; add just enough water to cover. Bring to a boil. Cook over medium-high heat for 8 to 10 minutes or just until tender. Drain in colander or strainer. In same saucepan, melt butter over medium heat. Add garlic; cook and stir 2 to 3 minutes or until tender. 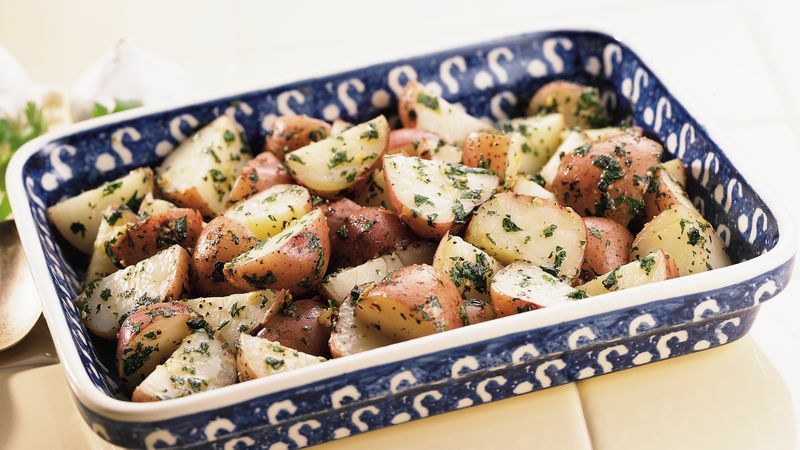 Add potatoes, seasoned salt and cilantro; toss to coat. Cilantro, or fresh coriander is also called Chinese parsley. Cilantro has a pungent, clean taste that is a good match for spicy Mexican and Asian flavors. Keep fresh cilantro refrigerated; place the stems in a glass of water and enclose the tops with a plastic bag. Fresh parsley can be used in place of the cilantro. Chop your own garlic or purchase it pre-chopped and packed in jars available in the produce department.